If a vehicle’s eeprom damaged or fail to work, it is time to have it read out and rewrite and new one. 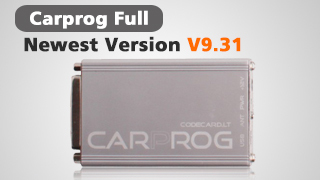 Here is to share with you how to read an EEPROM with carprog full. Here shows you an example about how to read an eeprom with carprog full. Search for the correct data sheets for the eeprom, better familiar with eeprom types. Besides, here shares with you three methods to read an eeprom. Method1. The eeprom can be read on the PCB (printer circuit board), such as the 24C02, 24C04, 24C08, 24C16, 83C86 and 95080. Method2. If the eeprom can not be read, an oscillator may be used to help.